Marketing strategies constantly shift to meet changing goals and industries, which means the tools you use should offer flexibility. 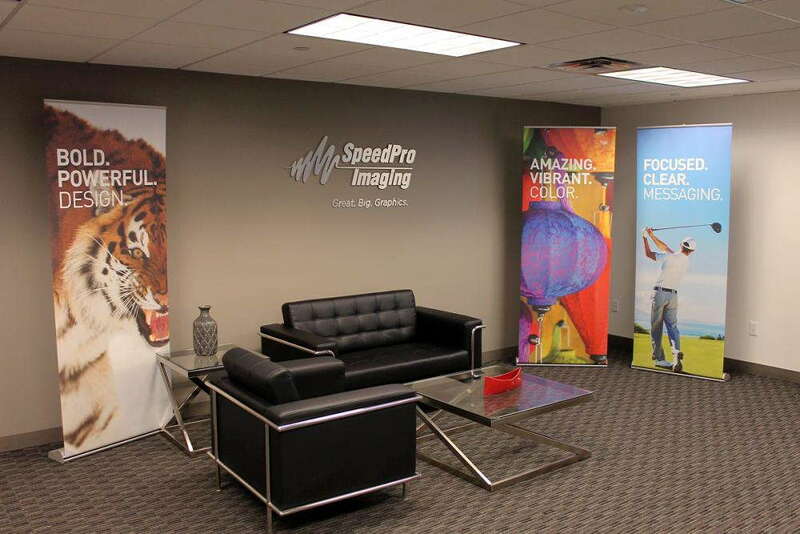 Custom retractable banners provide a powerful solution, and SpeedPro Imaging of Fort Worth can help you make a huge impact in the Lone Star State. As a partner of the nation’s biggest large-format graphics provider, we have access to industry-leading materials and state-of-the-art printing technology — all combined with our skills. We’ll happily assist any customers throughout Tarrant County, including Fort Worth and Arlington. 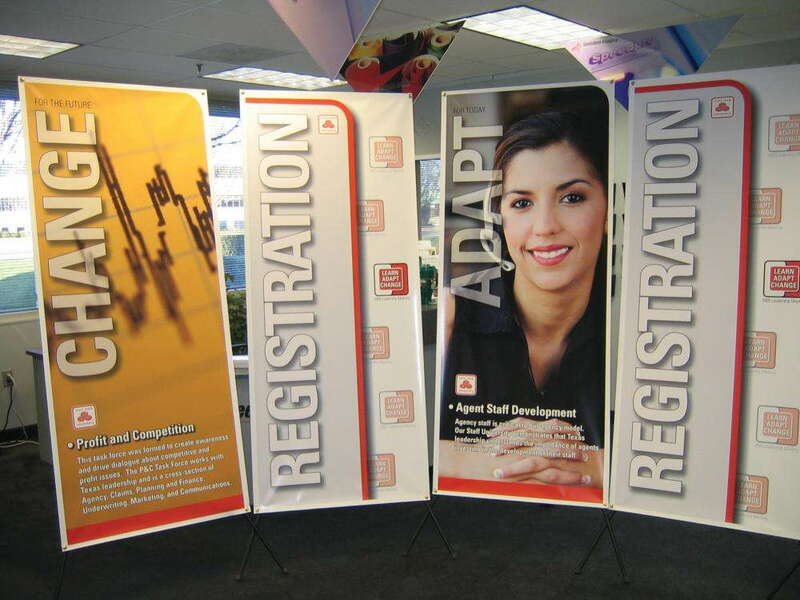 How Can You Use Retractable Banner Stands? 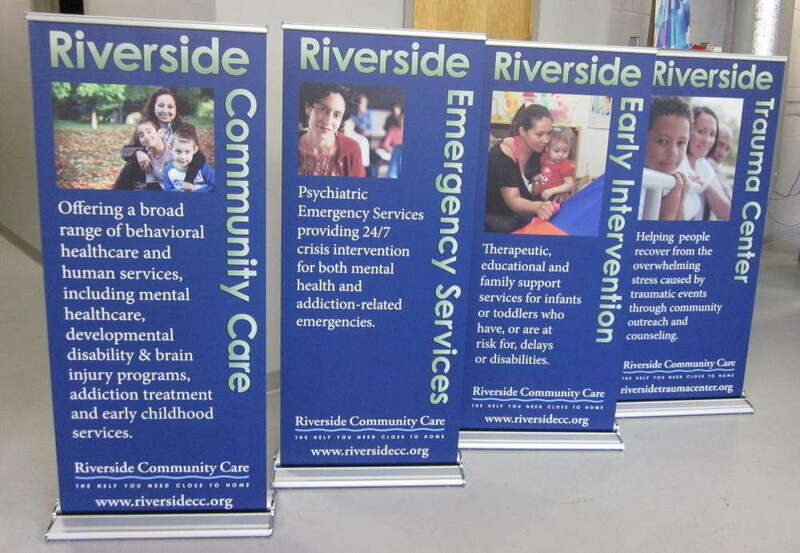 Retractable banner stands often serve their purpose at trade shows and expos, where portable options are usually a necessity for traveling displays. The right level of ingenuity and imagination can open up brand new possibilities. You can use retractable stands for evergreen sales events as well as omnipresent branding elements. From car dealerships to hospitals to museums, the possibilities are endless. You’ll no longer need to pay large sums of money just to see promotional items go into deep storage or worse, the garbage, never to be seen again. We carry a huge product catalog to satisfy your needs as well as the dedicated staff to shape the final results. The stands alone carry huge possibilities, as you can select from a range of styles, internal mechanisms, sizes and metal gauges. For style, you can choose from three primary options — retractable, telescopic and spring-back. We also offer three kinds of models: economy, premium and standard. Your specifications will largely determine which stands will fit your circumstances best. If you need an option that’s inexpensive yet effective, you’ll love that economy models offer a lightweight alternative to heavy-duty options. They can display all your graphics, but these lower-graded mechanisms and metals don’t stand up well to frequent conversions. If you want the best option around, you’ll find that premium models offer unparalleled quality. This choice is suited for heavy travel, as you can rely on it for all your trade shows without taking up much space in your trailer. Retractable banner stands offer ease of use and portability, allowing you to attract countless new customers from the crowd. You can count on the quality of the banners themselves too, as we use durable materials and long-life inks to create vivid images. If you feel that a retractable banner stand can assist with your marketing efforts, we’ll be prepared to help you, so contact us today to schedule your consultation. You can also visit our studio, which is located on East Loop in Fort Worth. 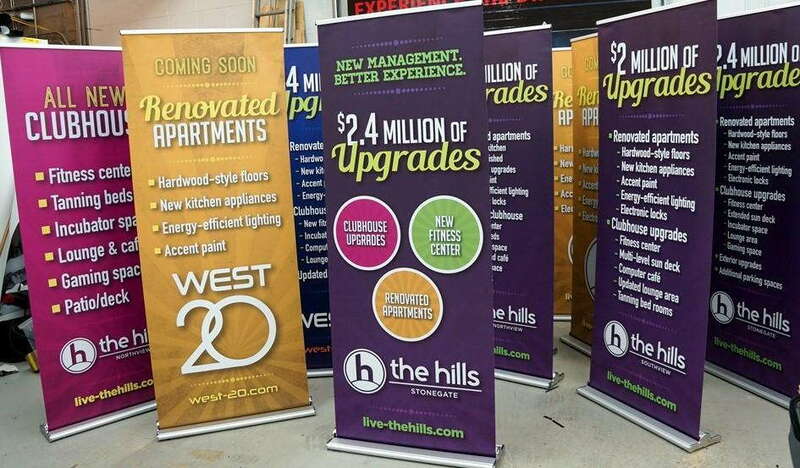 We look forward to working with you to quickly come up with the perfect retractable banner stands to meet your unique marketing goals.